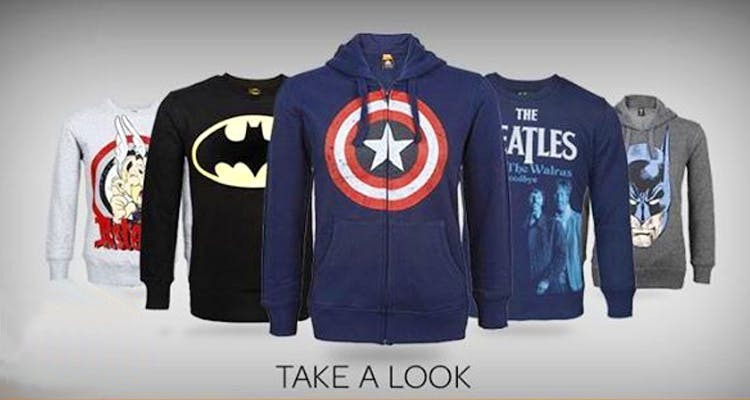 Score Some TV & Movie Related Merchandise! There’s a certain charm to having quotes and imagery from your favourite TV shows and movies splashed across various items of daily use. From T-shirts, to posters, to action figures and bobbleheads, here’s where you can score some memorabilia. You can find officially licensed merchandise at their retail outlet, from 3D posters and mugs to imitations of famous movie props. They’ve got killer Beatles memorabilia; items you’re not likely to find elsewhere. An online portal that delivers all over the country, they do hoodies, tees, laptop skins, posters and mugs. Would you like a ‘Winter is coming’ laptop skin? Look no further. Personally, this writer is digging their ‘Hogwarts Alumni’ sweatshirt. They also customize, you just have to ask. This is a community of artists that seeks to express, and their medium is T-shirts. All the designs are inspired by famous sayings/ TV shows/ movies. You can find a Calvin & Hobbes inspired tee, or perhaps one that stems from Naruto. It’s a twist, that’s for sure. A massive online community of designers and artists, all of whose artwork is put on posters, phone covers, cards and kitchen ware. There’s everything from illustrations of characters, to type posters with popular catchphrases. Their customer care is impeccable. Badge packs, posters and art prints, as well as oddments like keychains, all with legends through time. We’re loving their Michael Jackson badge pack, and the variety of prints they have. There’s also sports related merch for all you fanatics out there.